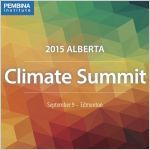 The Pembina Institute convened the 2015 Alberta Climate Summit on September 9, 2015 to showcase the latest thinking on climate policy from a variety of stakeholders. Young people ages 18-30 from NWT, Yukon and Nunavut are invited to join a travelling road trip conference through the Northwest Territories to experience on-the-land learning. The roundtable focused specifically on the policy considerations for capitalizing on the greenhouse gas reduction opportunities through action in the electricity sector, energy efficiency, and carbon pricing. Participants reviewed a greenhouse gas emissions-intensity performance standard for the electricity sector. 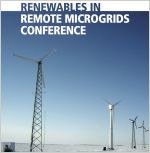 Experts, community members, manufacturers and researchers from across North America will discuss how we can learn from major recent successes in places such as Alaska and Australia, and how forward-thinking policies such as Ontario’s groundbreaking Green Energy and Economy Act can benefit remote communities and grow domestic clean energy investment, expertise and manufacturing capacity.